About: The Pilgrim Monument commemorates the history of the Mayflower Pilgrims, their arrival and stay in Provincetown Harbor, and the signing of the Mayflower Compact. It is the tallest all-granite structure in the United States. Visitors can walk to the top on a series of stairs and ramps. When: Open April 1st – November 30th, 7 days a week 9-5pm. Open late to 7:00pm in the summer months! Closed Thanksgiving Day. General admission: $10, free on Fridays after 5pm! 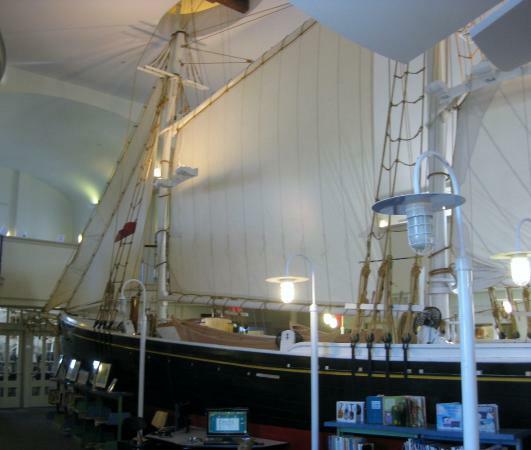 About: While the library isn’t technically a museum, it houses a half-scale model of the fishing schooner, Rose Dorothea. The Rose Dorothea was built as a tribute to the fishermen of Provincetown and to New England’s ship-building tradition.